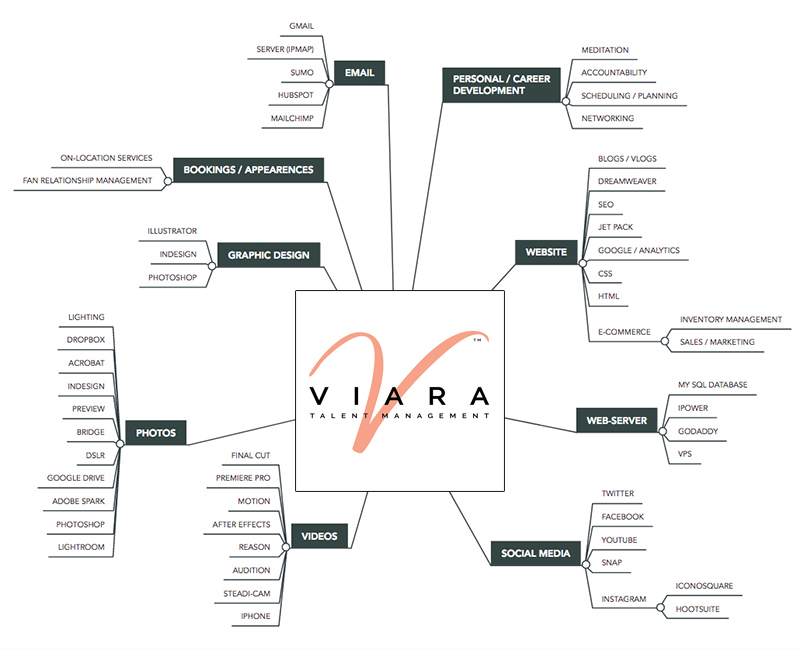 Viara Talent provides a range of services to the talent industry, including graphic design, tech support, advanced image correction, post video production, career strategy, and life-coaching. Talent is constantly being asked to do more and more of their own marketing and promotion, leaving less and less time for practicing and perfecting their craft, networking, auditioning, and taking care of family obligations. We are able to give our managed clients a large portion of that precious time back. The map below is a visual representation of the wide cross-section of the skills, software, and technology that comprise our elite management services.